Ever seen those silver ‘Happy Birthday’ banners that are hung across the wall at a party? We designed the packaging! 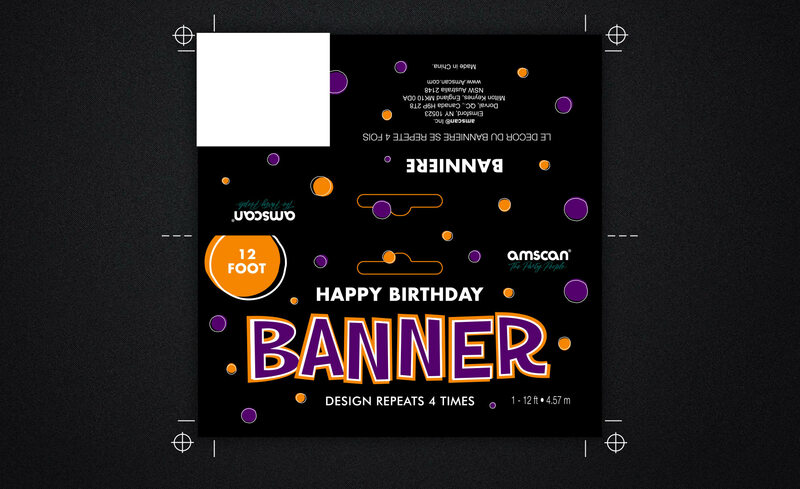 This particular banner was purple, orange and white so we’ve used a black background to bring out all those bright cheerful colours.